Anne Courtney is a personal and leadership coach, retreat facilitator and a consultant for teams and organisations who appreciate that the quality of their human interactions has a direct impact on their capacity to meet their organisational purpose. She has been running retreats based on ontological coaching (the study of ‘being’) and circle of trust principles. Anne has over twenty five years’ experience of working in the community sector as a manager, social worker, youth worker and in community development roles. 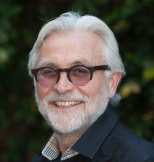 Michael Prince has over 30 years of experience working with leaders in Australia, and Asia-Pacific as a manager, consultant, leadership coach, writer and poet, working with a wide range of sectors, with a particular passion for working in developing countries and in nurturing new ways to lead and engage in government and across the political system in Australia and beyond. Sharon Cooke is a coach, educator and retreat facilitator, working to support the developing person through parenthood and other life transitions. With over 20 years experience in family & community health, she has been a fierce advocate for the child, investing in support groups, neighbourhood networks and local politics. Together with her husband Dr Dawson Cooke, she founded FamilyWorks a private practice that supports families, and those working with families, through the foundational early years. Anne, Michael and Sharon are Facilitators who have been prepared by the CCR.